from increasing process efficiencies to delivering better customer experiences to generating new revenue streams. 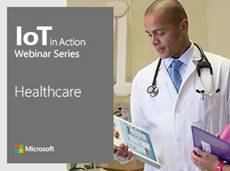 Microsoft IoT is digital transformation accelerating the pace of innovation in every industry worldwide. 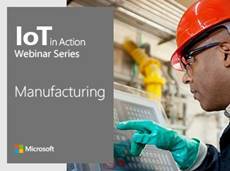 The IoT in Action webinars are a series of live virtual events for companies ready to capitalize on the multi-billion-dollar IoT market. 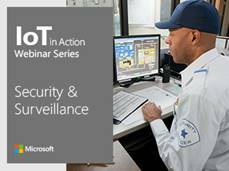 The one-hour webinars will educate, inform and foster collaboration around Retail, Manufacturing and Public Safety. What is it? A one-hour Live Webinar with IoT industry experts and influencers who will help ignite your imagination and accelerate your approach to IoT. and Security and Surveillance verticals.